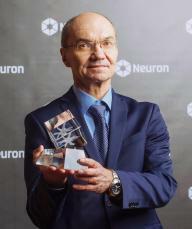 On 6th December 2017, the Neuron Foundation for Support of Science awarded seven researchers the prestigious Neuron Award for Contribution to Science. 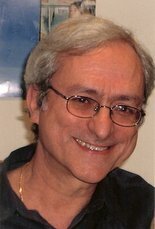 In the field of computer science, which has been included for the first time this year, the award went to Pavel Pudlák, member of the Institute of Mathematics of the CAS and a worldwide renowned specialist in the complexity theory whose expertise has been credited by the prestigious ERC Advanced Grant FEALORA in 2014. We are proud that after Miroslav Fiedler, Ivo Babuška and Eduard Feireisl this is already the fourth Neuron Award for a researcher who is or used to be member of the Institute of Mathematics. In the field of mathematics where the awards have been given every year since 2010, the laureate of this year is Vladimír Šverák from the University of Minnesota, an eminent specialist in partial differential equations and mathematical theory of continuum mechanics. Vladimír Šverák started his career in the Institute of Mathematics and currently he serves as member of fhe International Advisory Board of the Institute. For abstract see the invitation below. The distinguished Eduard Čech Lectures held to commemorate one of the most eminent Czech mathematicians and founder of the Institute are directed to a general mathematical audience. Prof. G. P. Galdi is the first Eduard Čech Distinguished Visitor. The fourteenth Eduard Čech Lecture will be part of his research programme in the Institute of Mathematics, as well as his lecture Hopf bifurcation in Navier-Stokes flow past a rotating obstacle in the Seminar on Continuum Mechanics dedicated to the memory of Professor Jindřich Nečas, on 6 December 2017 at 3:40 p.m. in lecture hall K1 at the Faculty of Mathematics and Physics of the Charles University, Sokolovská 83, Praha 8. Prof. Galdi's Eduard Čech Distinguished Visitor programme will continue in February 2018. 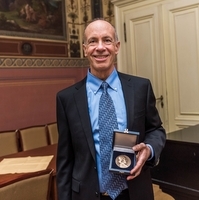 Professor Samuel R. Buss, University of California, San Diego, received the Bernard Bolzano Honorary Medal for Merit in Mathematical Sciences awarded by the Czech Academy of Sciences. The medal was presented by member of the Academy Council Dr. Pavel Krejčí on behalf of the President of the Czech Academy of Sciences Prof. Eva Zažímalová. The ceremony held in the historical building of Villa Lanna on 2nd November 2017 was part of the Prague Bounded Arithmetic Workshop 2017. Samuel Buss, a renowned specialist in mathematical logic and computer science, has been collaborating for many years with the Czech mathematicians P. Pudlák, J. Krajíček, J. Sgall and N. D. Thapen. The European Young Researchers Award is granted since 2010 to researchers demonstrating outstanding research performance and leadership. It aims to inspire early stage researchers to incorporate a European dimension and perspective into their research. The Award is granted each year; in odd years, the prize is dedicated to PhD candidates, and in even years to post-doctoral fellows. The Award consists of a Certificate, waiving the participation fee to ESOF, a grant to cover travel and accommodation for the stay in the ESOF city and a two years’ free EuroScience membership. ESOF 2018 will be held in Toulouse from 9 to 14 July. Nabízíme semináře pro učitele matematiky prvního a druhého stupně ZŠ a víceletých gymnázií. Semináře povede PhDr. Filip Roubíček, Ph.D., v prostorách MÚ AV ČR. Nabídku témat, termíny a kontakt pro registraci naleznete zde. Registrace je nutná. Semináře se konají v rámci společného programu Naděje a rizika digitálního věku Matematického ústavu AV ČR, Ústavu teorie informace a automatizace AV ČR a Ústavu informatiky AV ČR. Program je součástí Strategie AV21, kterou jako svou koncepční změnu v organizaci výzkumu vyhlásila v r. 2014 Akademie věd ČR pod heslem „Špičkový výzkum ve veřejném zájmu“. The Vice-Rector of the Charles University Prof. Jan Konvalinka presented the Gold Medal of the Charles University on 1st August during the conference Implicitly constituted materials: Modeling, Analysis and Computing organized by the Nečas Center for Mathematical Modeling. President of the Czech Academy of Sciences Prof. Eva Zažímalová awarded the Otto Wichterle Award for young researchers to Dr. Martin Doležal, member of the Department of Topology and Functional Analysis. The award has been established in 2002 to encourage and support young promising researchers in institutes of the Czech Academy of Sciences. It is connected with a financial premium in the subsequent three years. Martin Doležal is one of 23 laureates in this year. 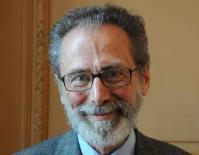 The Norwegian Academy of Science and Letters has decided to award the Abel Prize for 2017 to Yves Meyer of the École normale supérieure Paris-Saclay, France “for his pivotal role in the development of the mathematical theory of wavelets”. Meyer's work has a relevance extending from theoretical areas of mathematics to the development of practical tools in computer and information science. As such it is a perfect example of the claim that work in pure mathematics often turns out to have important and useful real-world applications. Yves Meyer will receive the Abel Prize from His Majesty King Harald V at an award ceremony in Oslo on 23 May. The Institute of Mathematics of the CAS is organising "Minicourse on the Navier-Stokes equations" which will take place in Prague, February 12-16, 2018. The programme will consist of series of lecture by Professor G. P. Galdi followed by discussions. In celebration of Eduard Feireisl's 60th birthday and in honour of his contributions to compressible fluid mechanics, the Institute of Mathematics of the Czech Academy of Sciences is organising a conference in December 2017. The Seminar organized in cooperation with Bobcat Doosan. December 8, 2017, 10:30 Library of Mathematical Institute. Seminář se bude konat v rámci společného programu Naděje a rizika digitálního věku Matematického ústavu AV ČR, Ústavu teorie informace a automatizace AV ČR a Ústavu informatiky AV ČR. Program je součástí Strategie AV21, kterou jako svou koncepční změnu v organizaci výzkumu vyhlásila v r. 2014 Akademie věd ČR pod heslem „Špičkový výzkum ve veřejném zájmu“. Seminář je organizován ve spolupráci s firmou Bobcat Doosan. Jarní exkurze do světa vědy v Matematickém ústavu AV ČR pořádané Akademií věd ČR ve spolupráci s dalšími institucemi ve dnech 15. května až 18. června 2017 jsou součástí Týdne vědy a techniky Akademie věd ČR, nejrozsáhlejšího vědeckého festivalu v České republice. Široká veřejnost a především studenti středních škol mají možnost vyslechnout několik přednášek proslovených našimi předními odborníky na daná témata. Seznam nabízených přednášek najdete zde. Spring Open Houses in the Institute of Mathematics CAS, organized by the Czech Academy of Sciences from 15 May to 18 June 2017, will be held as part of the Week of Science and Technology, the most extensive scientific festival in the Czech Republic. Programme containing the list of lectures could be found here (Czech only) (( . The Joint Workshop Hannover-Prague organized in the framework of the Nečas Centre of Mathematical Modelling, June 6-9, 2017 will take place in the Main Lecture Hall of the Institute of Mathematics CAS, Žitná 25, Prague 1. The Learned Society of the Czech Republic presents the public lecture "The convenient untruths of economics and finance" by Prof. Harbir Lamba (George Mason University, USA). The lecture will take place in the Czech Academy of Sciences building, Národní 3, Praha 1, on Monday 22 May at 5 p.m.
Prof. Lamba will also present the lecture "Open problems in non-standard economic and financial modelling" in the seminar of the Institute of Theoretical Physics, Faculty of Mathematics and Physics, V Holešovičkách 2, Praha 8, on Tuesday 23 May at 10:40 a.m.
For details see the links below. With a deep sorrow we inform that our colleague Dr. Bohuslav Balcar, senior researcher in the Institute of Mathematics CAS since 1989, passed away on 17 February 2017 at the age of 73 years. Dr. Balcar was a renowned specialist in the set theory, Boolean algebra, topological dynamics and logical foundations of mathematics. He was also member of the Centre for Theoretical Studies of the Charles University and the Czech Academy of Sciences. 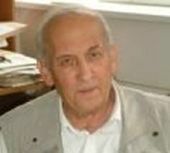 With a deep sorrow we inform that Professor Petr Hájek, researcher emeritus in the Institute of Computer Science of the Czech Academy of Sciences, one of the leading scientists in the Institute of Mathematics of the CAS in the period 1964-1992, member of the Learned Society of the Czech Republic, of the Czech Society for Cybernetics and Informatics, and of the Union of Czech Mathematicians and Physicists, passed away on 26th December 2016. Condolence messages can be sent to ics@cs.cas.cz or privately to his family to mariehajkova@seznam.cz.